These days, even a Shoaib Akhtar writes an autobiography. Before publishing the same, he is made fully aware (by his publishers) that it's just not going to sell. So what to do? - Akhtar decides to write in his book that Sachin Tendulkar and Dravid are not match-winners. Now, was this a promotion or a demotion? 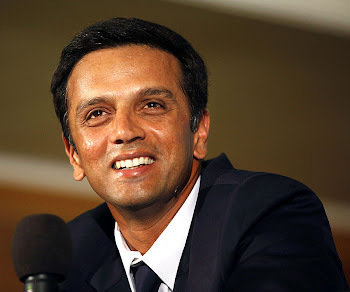 Sachin replied back- "It is below my dignity to comment"
Rahul Dravid said, "I'm neither hassled, nor shocked or even disturbed. He has an opinion, and so is free to express. I have been around for too long to be perturbed by these things." Two tight slaps from legends of cricket within a week is what Shoaib Akhtar has earned. Good going Rawalpindi Express!